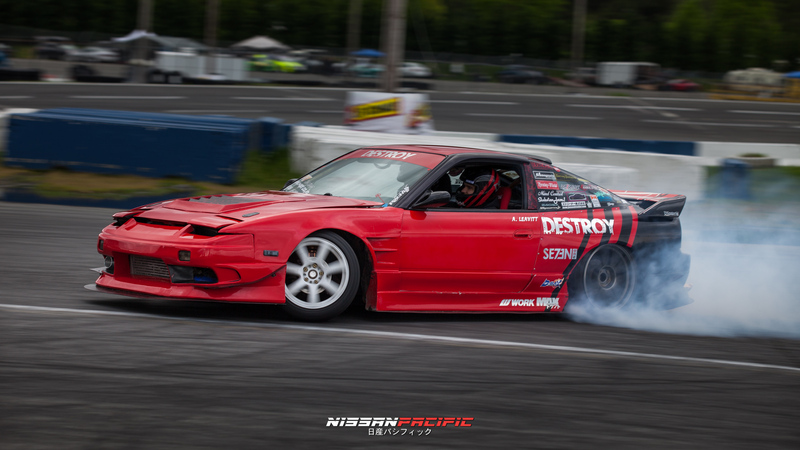 Evergreen Drift held a “Cinco De Drifto” event where all the spectators ate tequila and tacos and watched a smorgasbord of drifting. Warning: This video is long and I’m horrible at editing. Watch at your own risk. These Evergreen “Missiles” will give you eye herpies and a clapped out ear hole. 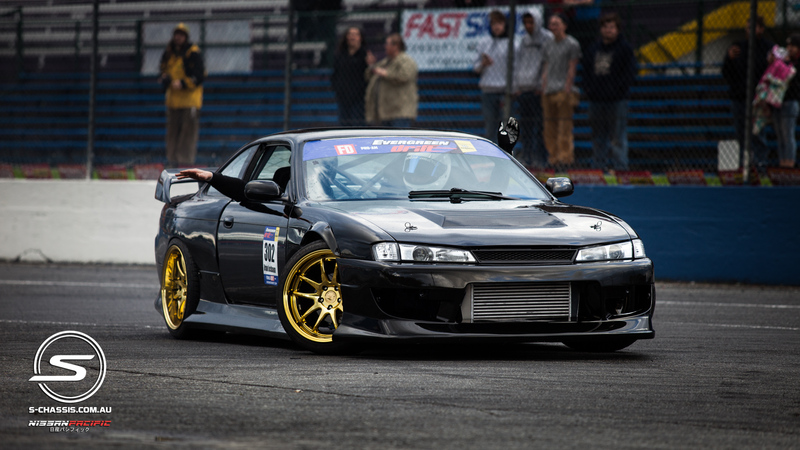 A few highlighted pics below. 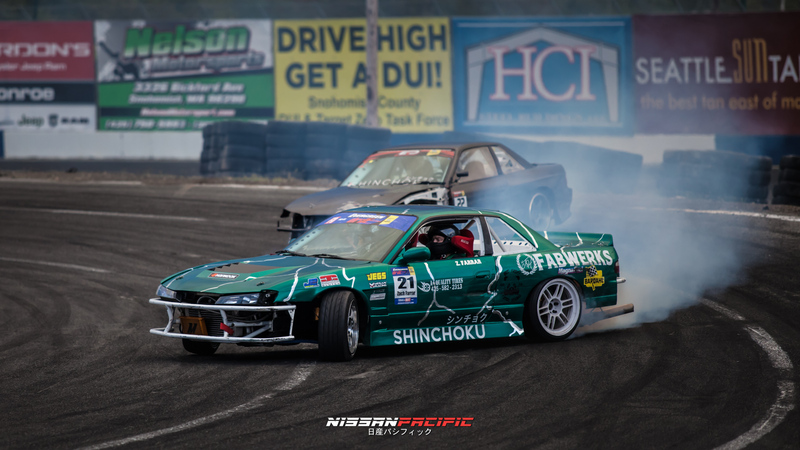 Paxton in the Z32 drift squad. 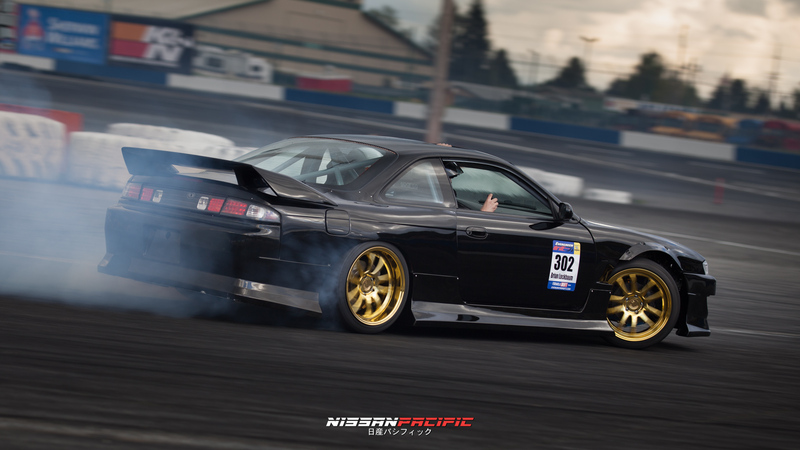 Brian Lockbaum’s gold wheels really stood out when the clouds were looming overhead. 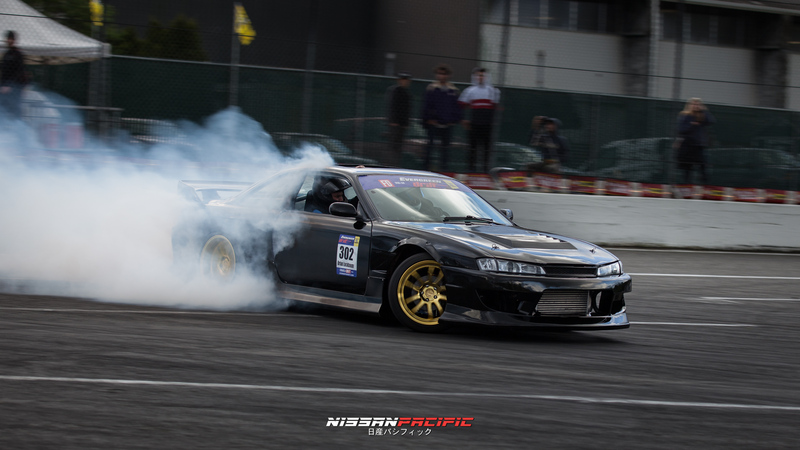 After the hairpin, Lockbaum stood on the throttle for a smoke show. 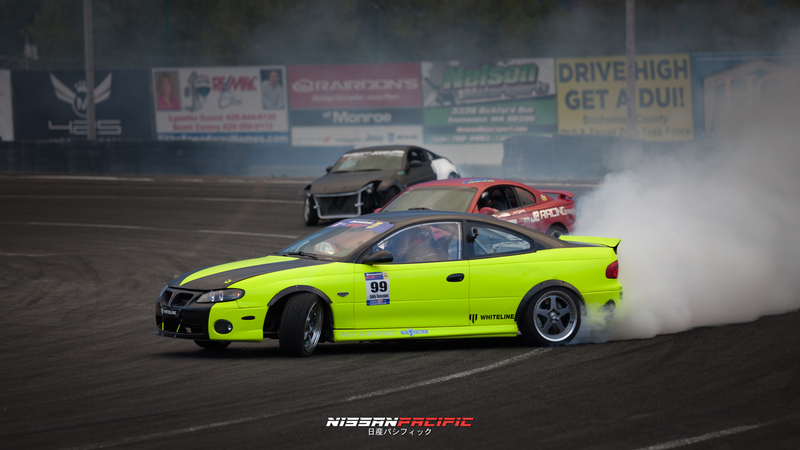 Eddy Gonzalez in the Pontiac GTO and Tory Jelinek in the red Ford Mustang getting door to door on the 3/8ths bank. 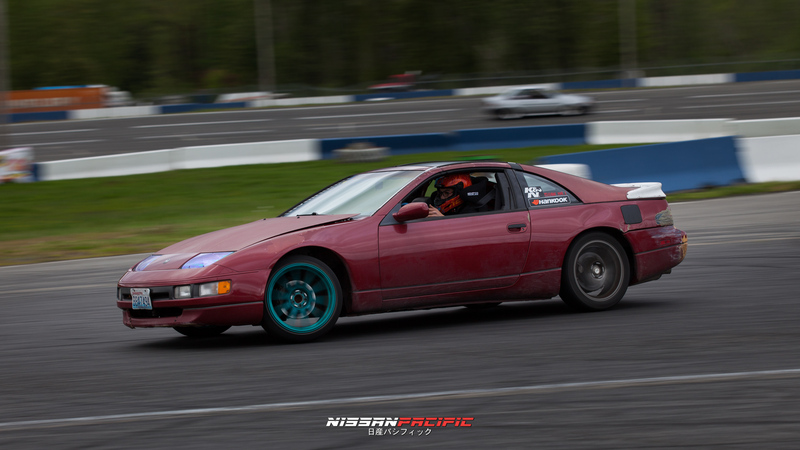 Merlin’s KA-T is very loud, but smoked up the rears pretty good! 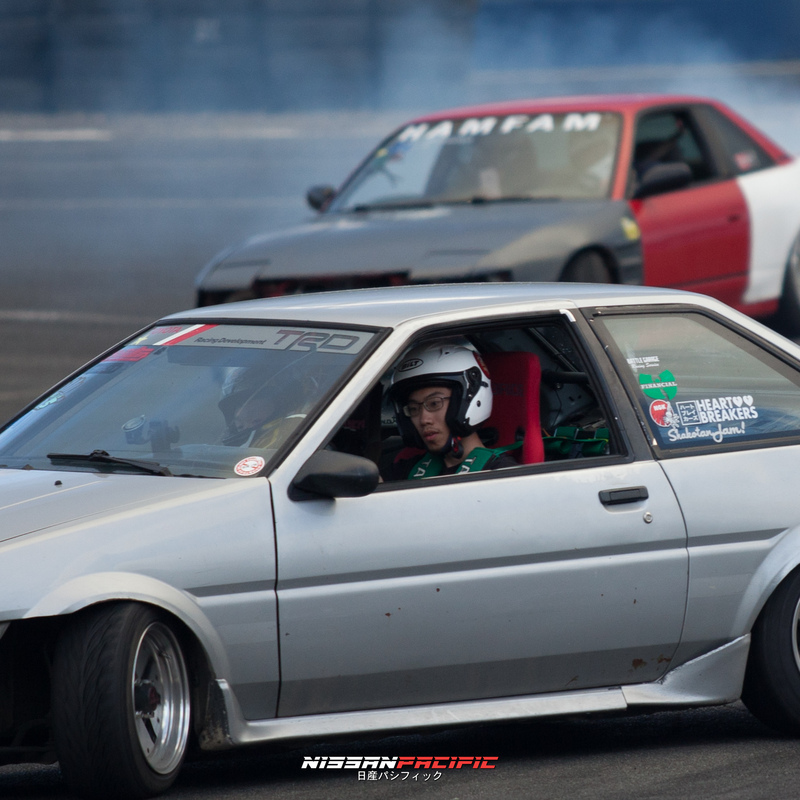 Tim Tam’s AE86 is mint. 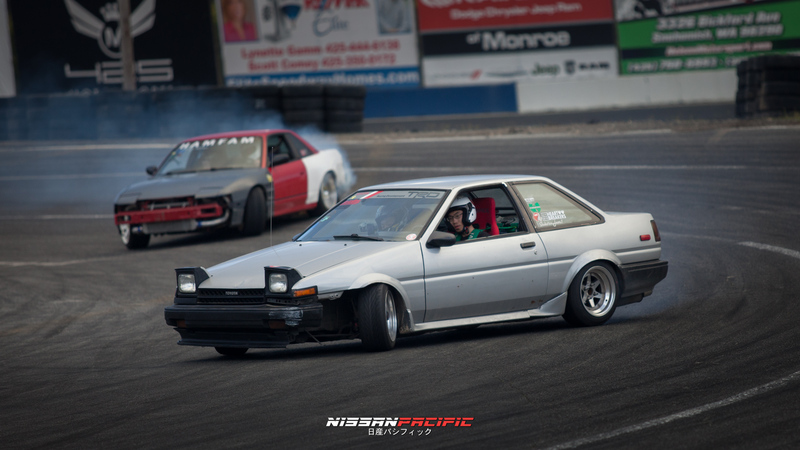 He’s been chucking that AE86 on the 3/8ths, not many 86 owners go balls to the wall. 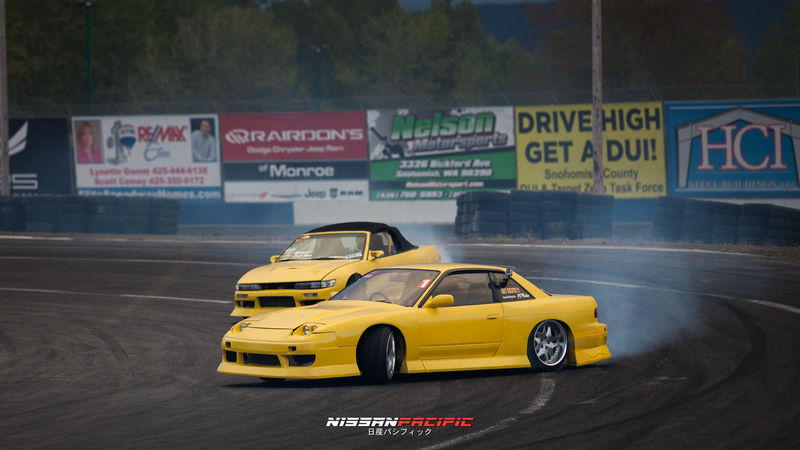 Daring Partner’s Daniel and Pedro returning for more JDM Option Magazine features. 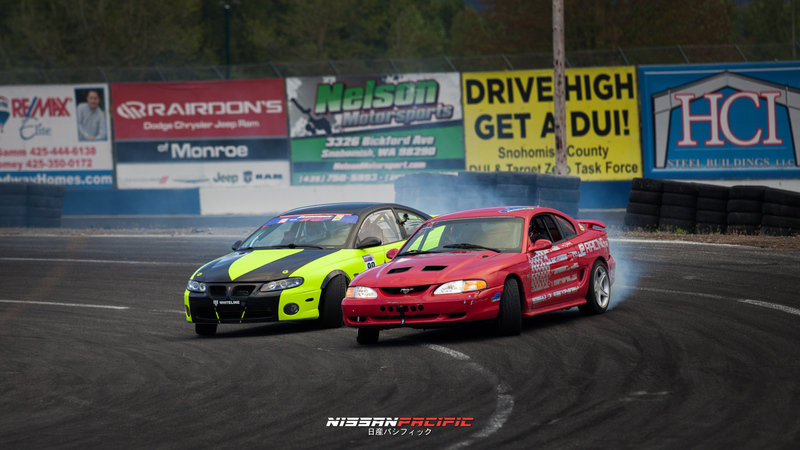 Zach Farrar practicing with Cole Werner in there Formula Drift ProAm cars. 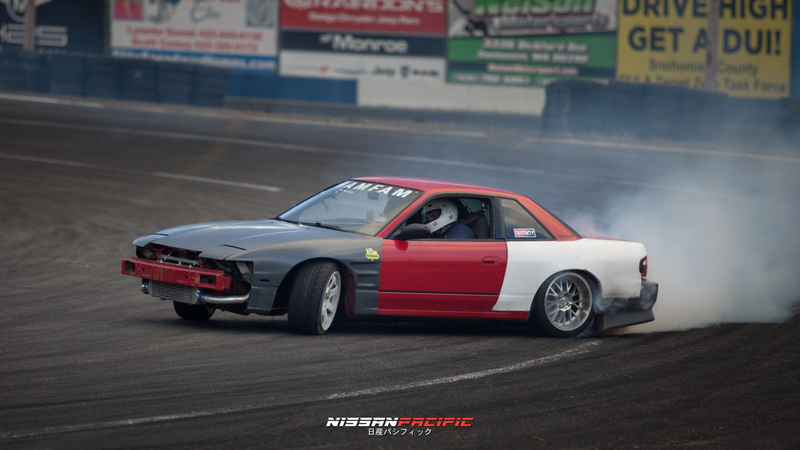 The 3/8ths tandems were off the chain as Eddy Gonzalez leads with a smoke wall.